One in 2900 genotypical men report gender dysphoria, and many undergo gender confirmation surgery to match their physical phenotype to their identity. A variety of surgical techniques are used in male-to-female transgender patients, one of which is bowel vaginoplasty, and postoperative stenosis of the colonic neovagina is common. Extracellular matrix grafts have been used in vaginal reconstruction. with porcine urinary bladder matrix (UBM) acting as a scaffold for smooth-muscle tissue and matrix regeneration. The aim of this surgical video is to describe the use of a UBM biological graft in repair of introital stenosis due to recurrent granulation tissue in the colonic neovagina of a male-to-female transgender patient. A 32-year-old male-to-female transgender patient with a history of rectosigmoid neovagina formation for genital gender confirmation surgery 12 months prior presented with genital granulation tissue and stenosis of her neovaginal introitus. Despite two surgical revisions, the patient developed recurrence of granulation tissue and obliteration of the neovaginal introitus, preventing sexual function of the neovagina. Reconstruction of the neovaginal introitus was performed using UBM. The patient noted improvement in comfort, hygiene, and quality of life following the procedure. This video describes our surgical technique and perioperative clinical findings. 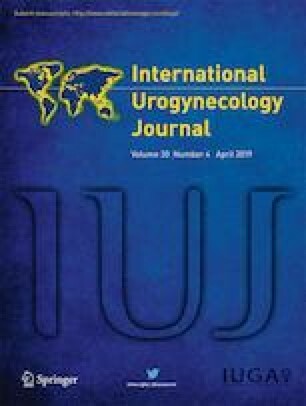 We report the novel use of UBM biological graft in the revision of a neovaginal introitus after former rectosigmoid vaginoplasty in a male-to-female transgender patient. The online version of this article ( https://doi.org/10.1007/s00192-018-3800-6) contains supplementary material. This video is also available to watch on http://link.springer.com/. Please search for this article by the article title or DOI number, and on the article page click on ‘Supplementary Material’. This video was presented at PFD Week, October 9th to 13th, 2018, Chicago, IL. Kate Meriwether is an author and editor for Elsevier. Written informed consent was obtained from the patient for publication of this video article and any accompanying images.